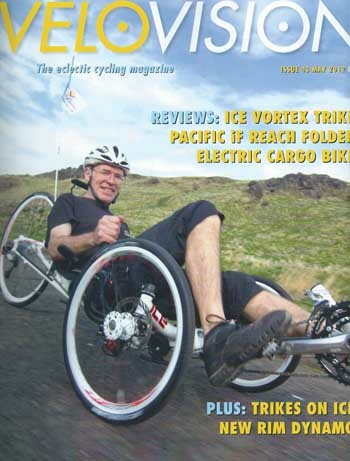 for those who want to know more about trikes and recumbents. CARBONTRIKES has upgraded with a new top notch autoclave! The previous autoclave at CARBONTRIKES has now been joined by a new, larger and more advanced autoclave. We already produce trikes with highest quality but with the new equipment it is possible to produce faster and even better and more consistent quality. It is also possible to make larger monocoque carbon fiber parts. CARBONTRIKES uses the same hi-end autoclave technology as used for scientific applications and top brand as: Ferrari, Koenigsegg, Boeing and NASA. We are the only trike and recumbent company in the world using this advanced production technology ensuring that we are producing the best race trikes in the world! Thanks to the new autoclave, we now have the opportunity to develop new even lighter, stronger and more advanced models of CARBONTRIKES in the future. An autoclave is a special heated high pressure vessel used when producing carbon fiber parts. It is used for the crucial "baking" of the parts. It creates the best conditions for joining and homogenize the carbon fiber composite getting maximum strength and minimum weight. CARBONTRIKES - fastest trike in the world! 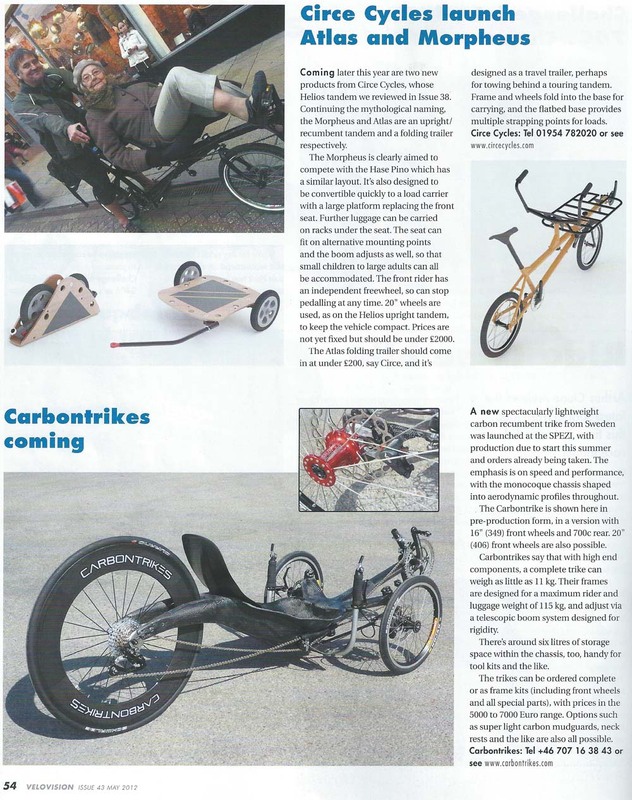 We are proud to tell that CARBONTRIKES now are the fastest trike in the world! 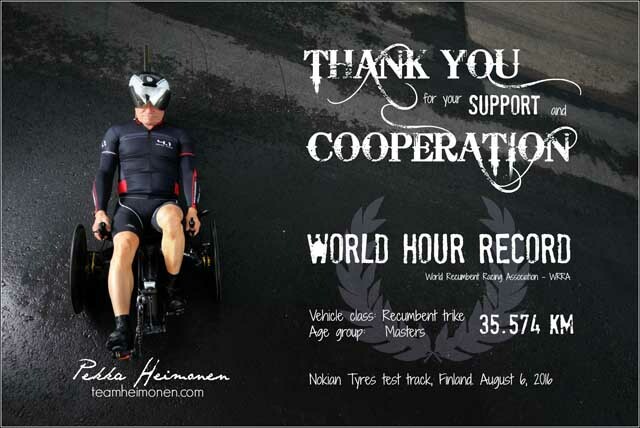 On the 6th of August 2016 Pekka Heimonen beat the 1-Hour World Speed Record, during The Nordic Championships at Nokian Tyres' test track in Finland. The France living, Finnish-born, 55-year young Mr. Heimonen said: "All the Necessary documentation has been late to WRRA and we did everything "by the book", so I do not expect any problems with ratification." The record is now official! Now we are curious and tense at CARBONTRIKES who will set the next World Record? We have proven that we have the trike for the mission! Pekka Heimonen's own website, where he talks about the preparations for the record and a lot of nice photos (text in English and Finnish). During a long time we have developed a completely new CARBONTRIKES to make a speed record attempt. The trike now has a more aerodynamic design of the frame. The handlebar and boom have new profiles that help to create even higher speeds. We have also specially manufactured disc wheels to make the trike even faster. Drivetrain is now even more efficient. The extra short 135 mm crankset in carbon fiber are created by us to suit the record attempt. The trike will be further tested in the wind tunnel to really tweak the final out of the structure and rider. The steering is optimized for higher speed. Absolutely correct. Unfortunately, we have don't have palm trees in Sweden. The reason is that competition CARBONTRIKES are now rolling on the French Riviera. 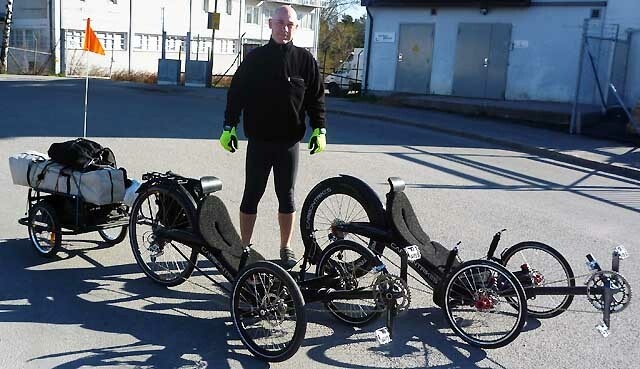 We have been trusted to build a trike that will be used for the bicycle race RAAM (Race Across America). The toughest and longest bicycle race in the world! We started from the popular CARBONTRIKES SL, which is the world's lightest serially produced trike. Where we optimized the construction of the frame, boom and handlebar with even more advanced carbon fiber. We have also specially manufactured disc wheels, to make the trike even more aerodynamic. CARBONTRIKES have developed new wheels based on specially developed hubs that are strong and light. 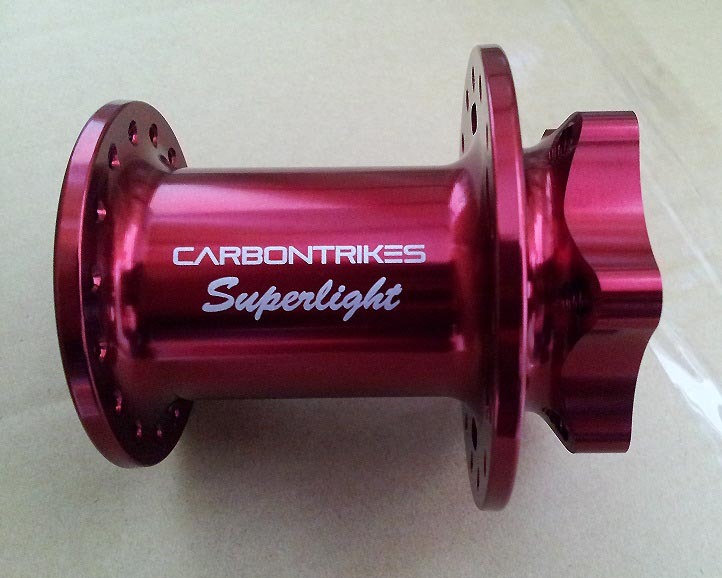 The nice red anodized hubs are designed for CARBONTRIKES high standards. The hand-built wheels have also an optimized asymmetrical lacing particularly suitable for the loads that occur on the trike at high speeds and racing. The new CARBONTRIKES lightweight front hub. 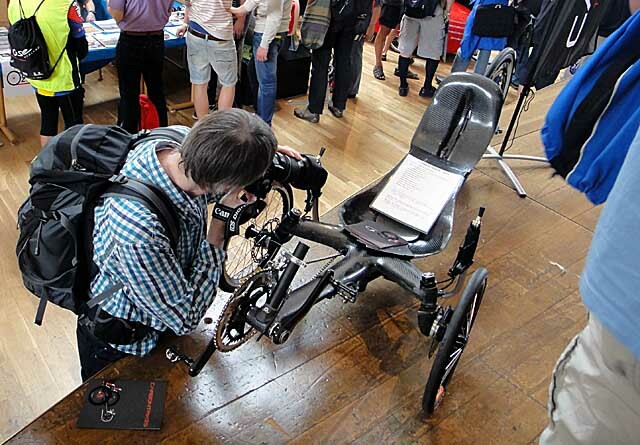 Our new model CARBONTRIKES Aero attracted much attention from over 15 000 of visitors, as well from connoisseur and of those who have never seen a trike / recumbent before. CARBONTRIKES was widely praised for it's clever details, fine technical solutions and for the stylish design. Mårten Danielsson at CARBONTRIKES managed the take an honorable silver medal in the fair's bike race - Bicycle parallel slalom. Perhaps bicycle parallel slalom will be the next Olympic sport. us and gave great compliments. CARBONTRIKES released two new versions of the successful CARBONTRIKES Race. In common to both new models is that the frame and boom are custom built to the customer's weight, height and riding style, although the handlebar has also been given a lower weight than on the CARBONTRIKES Race. For SL and Aero models, we have developed a new and highly advanced layup of carbon fiber, but it is more time consuming to apply. CARBONTRIKES Race Aero is an aerodynamic dream in carbon fiber. 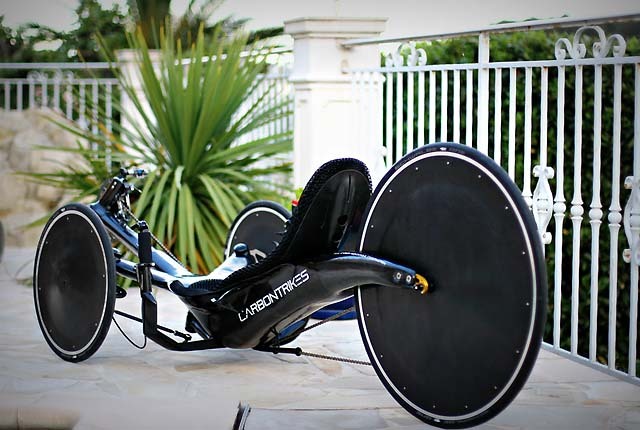 Race Aero is the world's first trike with aerodynamic carbon fiber wheels. We also use titanium screws at selected places. The result is a lightweight trike who love high speeds. More about CARBONTRIKESRace Aero. The new CARBONTRIKES Race Aero. On the CARBONTRIKES Race SL we have focused on reducing the weight. The result is that we beaten our own weight record to a level many thought was not possible on a series produced trike. Also lightweight wheels and racing tires combined with a very sophisticated frame, boom and handlebar creates a trike that weigh 11.5 kg. More about CARBONTRIKES Race SL. The new CARBONTRIKES Race SL. CARBONTRIKES exhibited at the largest bicycle fair in Scandinavia, Scandinavian bike show autumn 2013, with over 10 000 of visitors. 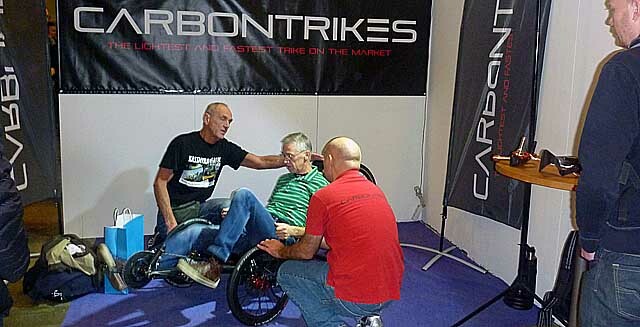 As usual, CARBONTRIKES got lots of visitors to its booth. Many visitors had the opportunity to sit in a trike for the first time. 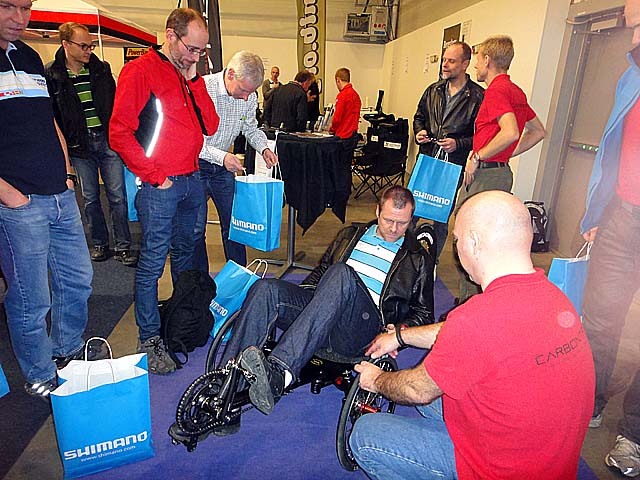 CARBONTRIKES arranged the first bike exhibition of its kind in Sweden. Specialcykelmässan 2013 (Special Bicycle Fair 2013) at Gärdet in Stockholm. 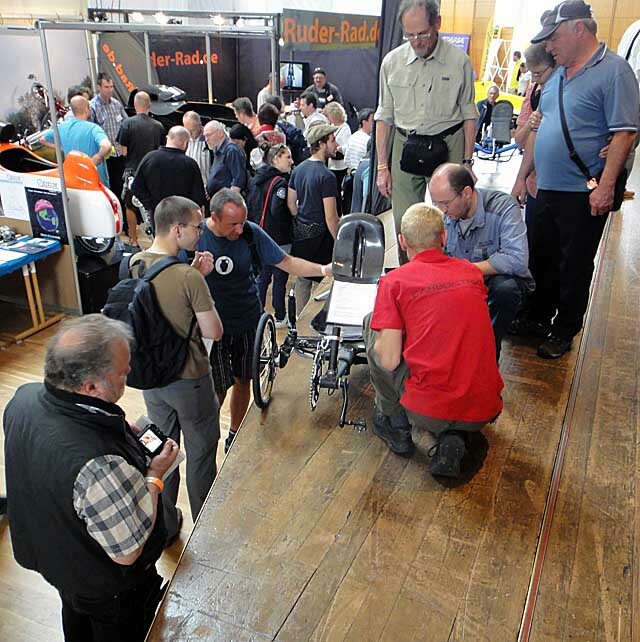 Where the majority of recumbent companies were represented, but also aerodynamic velomobiles and practical transportation bicycles were exhibited. The fair was visited by bike enthusiasts who had the opportunity to test more than 50 different bike models. In connection to the exhibition were also very spectacular bike race Brompton-SM, the Swedish Championship. At 07:30 on the way to Special Bike Fair. Of course, we use CARBONTRIKES for transport of the 45 kg exhibition equipment the 32 km to the fair. The Brompton riders just before the start. At this year SPEZI, we showed two models. CARBONTRIKES SL and CARBONTRIKES Hybrid. There, the SL model is CARBONTRIKESlightweight version weighing only 11.5 kg thanks to the special parts and Hybrid model is equipped with a very light motor system. The weight increase with engine and battery is only 3 kg. Our tests show that the range is over 60 km. (More information will follow shortly.) Hybrid model was also equipped with neck rest, long rear fender and practical luggage holder. The weather was not at its best, but the bike fair visitors shine like suns after testing CARBONTRIKES. 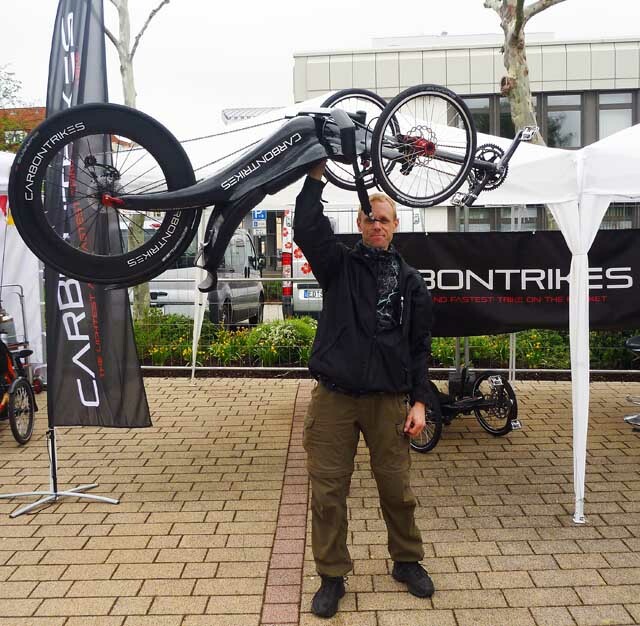 The CEO, Lars Viebke lifts easily the new CARBONTRIKES SL model with only one hand. 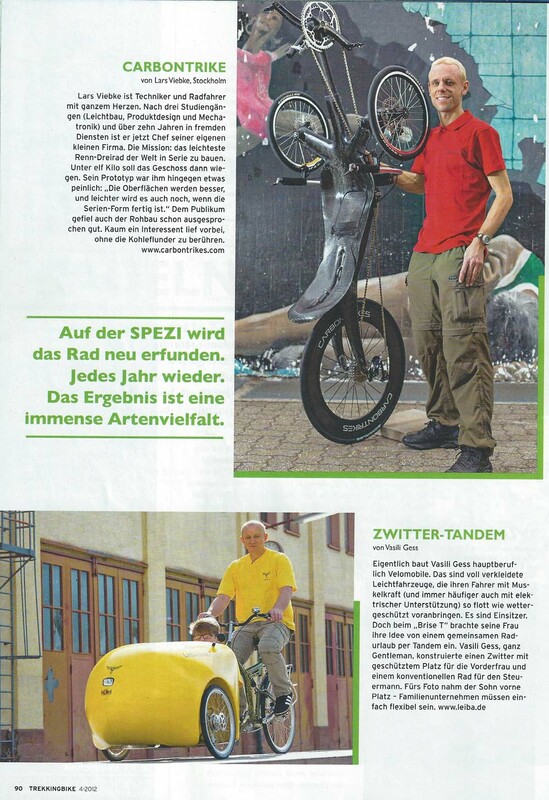 On 27 and 28 April 2013 we exhibit at SPEZI in Germersheim, Germany. You will find us on the outdoor area at booth 15th, where you can test ride CARBONTRIKES. Welcome! CARBONTRIKES goes global. We now have costumers in three continents; America, Europe and Asia! The CARBONTRIKES was a huge success and was appointed to the fair's coolest bike of Cykelradion.se and many of the 10 000 fair visitors at Sweden Bike Expo. Visit CARBONTRIKES on Sweden Bike Expo th 17-18 of November 2012. The winner of the LED-light on SPEZI was Frank Herrmann from Germany. 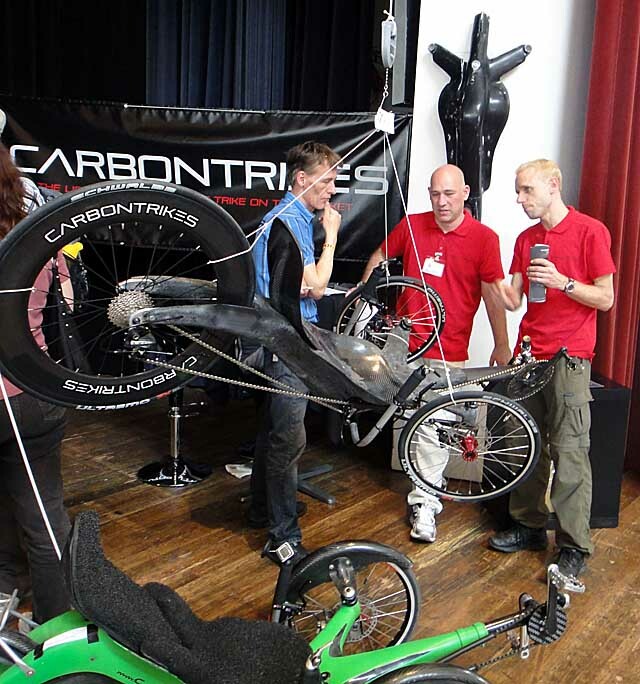 Many curious visitors were fascinated in CARBONTRIKES and the many smart solutions and new technologies. Our display trike weighed 11.6 Kg, but can easy be lighted to below 11 Kg! 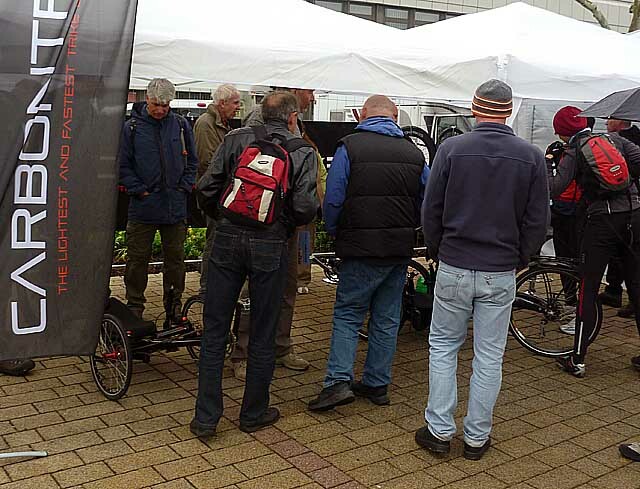 Several cycling magazines and bike bloggers showed great interest in the Swedish build trike. 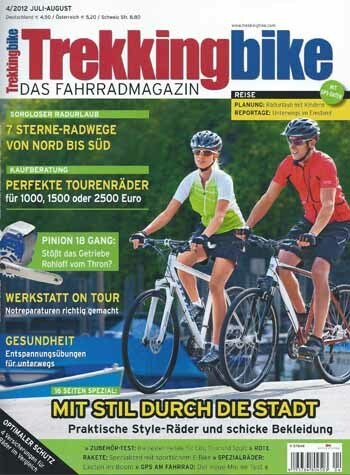 Do not miss CARBONTRIKES world premiere on 28 and 29 April 2012 on SPEZI fair in Germersheim, Germany. You will find us in hall 1, stand 27. Welcome!